NASHVILLE, Tenn. – Oct. 23, 2017 – GMA Dove Award-winning and platinum-selling artist Mark Schultz will launch A Different Kind of Christmas Tour this December, joined by husband-and-wife duo Love & the Outcome. The annual holiday tour is in its third year and gets its name from Schultz’s #1 holiday-themed radio single, “Different Kind of Christmas.” The single went viral in December 2014, and its accompanying video has since been viewed more than 24 million times on Facebook and shared over 900,000 times. The song was inspired by the life of Schultz’s father-in-law and was penned shortly after his passing. A Different Kind of Christmas Tour will kick off Dec. 1, and hit cities in Michigan, Wisconsin, Ohio, Maryland, Tennessee, North Carolina, and possibly more. Audiences will be treated to Schultz’s masterful storytelling, paired with Love & the Outcome’s pop-rock stylings. Together, they’ll create the perfect blend to ring in the Christmas season. Tickets for A Different Kind of Christmas Tour are on sale now, and a special VIP ticket package is available in most markets, including early entry and a pre-show Q&A with the artists. For up-to-date information and to purchase tickets, visit www.markschultzmusic.com. The Different Kind of Christmas Tour is presented by Holt International, which provides the tools and resources to uplift children and strengthen families in some of the world’s most impoverished communities. Founded in 1956, Holt International is dedicated to finding and supporting permanent, loving families for orphaned, abandoned and vulnerable children. Holt is recognized as a leader in child welfare and permanency planning, providing services and advocating for the best interest of children while always upholding the highest ethical practices. Today, Holt International maintains active partnerships and programs in 13 countries. Visit www.holtinternational.org to learn more. * Dates, markets and venues subject to change without notice. For ticket information and the most up-to-date list of concerts, please visit www.markschultzmusic.com. During the past decade, turning real life experiences into heartfelt anthems of hope and redemption has made Mark Schultz one of the Christian community’s most acclaimed singer/songwriters. Originally hailing from Colby, Kansas, Schultz moved to Nashville to realize his musical ambitions and found inspiration while working as a youth pastor. Schultz booked the city’s famed Ryman Auditorium, and with the overwhelming support of friends and family, his show there was a sell-out. This virtually unheard-of feat for a new artist landed Schultz a record deal where he went on to sell over 1.3 million albums and garner 13 No. 1 singles to date. He has landed the top spot on Billboard magazine’s Christian Adult Contemporary Songwriter list and has been featured on 48 Hours, Extreme Makeover: Home Edition, CNN and more. His album Mark Schultz Live: A Night of Stories & Songs was certified Platinum by the R.I.A.A. and earned Schultz his first GMA Dove Award. Winnipeg-born Love & The Outcome (L&TO) is the husband/wife duo of vocalist Jodi King and bass player Chris Rademaker. The couple signed with Nashville-based Word Entertainment in Spring 2012 and have quickly emerged as one of the most dynamic and exciting new voices in the Contemporary Christian Music genre. The duo’s eponymous 2013 debut LP came on the heels of their debut single, “He Is With Us,” which peaked at No. 7 on Billboard’s Christian Songs chart and has sold more than 121,000 copies in the U.S. to date, racking up another 3.5 million streams on Spotify and 5 million views (cume) on YouTube. Their 2013 debut has now sold over 80,000 units to date and earned the band a Dove Award nomination for Best New Artist as well as GMA Canada Covenant Awards in 2014 for New Artist of the Year, Song of the Year, Recorded Song of the Year and Pop/Contemporary Song of the Year. Their 2015 Covenant Awards included Album of the Year and Group of the Year wins. The duo’s sophomore set, These Are The Days, has sold over 20,000 copies since it’s release in September 2017. This fall, L&TO will debut a Christmas EP. NASHVILLE, TENN. – OCTOBER 24, 2017 – Word Worship artist Meredith Andrews is releasing her new full-length Christmas album, Receive Our King, this Friday, October 27. Produced by her husband, Jacob Sooter, the album includes new versions of “Behold The Savior,” “He Has Come For Us (God Rest Ye Merry Gentlemen)” and “The Gospel Changes Everything,” which were originally released on Andrews’ 2013 Behold The Savior EP. Andrews created a project full of well-known traditional Christmas songs along with several new original tunes including the upcoming single, “Come Thou Long Expected Jesus,” and special personal moments with the album’s conclusion with “Away In A Manager / The Gospel Changes Everything” featuring her son, Maverick Sooter. This multi-Dove award winner released her fourth album, Deeper, in February 2016, which produced the single, “Soar,” reaching the Top 20 at NCA. Andrews also partnered with co-founder of Saddleback Church and best-selling author Kay Warren in a video series titled “Meredith Andrews + Kay Warren: Deeper.” The five-video series includes: Deeper Ministry, Deeper Worship, Deeper Family, Deeper Brokenness and Deeper Living and can be viewed here. Andrews celebrated last Christmas season by appearing on The Todd Starnes Christmas Show on FoxNews.com. Visit her website for the her upcoming touring schedule during the holiday season on the Tenth Avenue North “Decade The Halls” tour. NASHVILLE, Tenn. – Oct. 23, 2017 – An all-star lineup of some of Christian music’s biggest names will take the stage when THE ROADSHOW embarks on its ninth year in February 2018. Grammy-winning duo for KING & COUNTRY, along with Grammy nominees Matthew West, Natalie Grant and Zach Williams are just some of the chart-topping artists slated to perform this year. As a special treat, popular Dove Award-winning worship ministry Bethel Music will kick off each event, and Miami hip-hop duo Social Club Misfits round out the stylistically diverse mix of music that will appeal to the entire family. THE ROADSHOW launches Feb. 16, 2018, in Charlottesville, Va., and will hit 23 major market across the U.S. including Tulsa, Albuquerque, Phoenix, Portland, Seattle, Reno, Salt Lake City, Colorado Springs and Houston, to name a few. The tour will run through February and March, before wrapping up in Dallas on March 25. Over the past nine years, THE ROADSHOW has grown to become more than just a concert tour. Each year, thousands of families come together in arenas across the country for an affordable night of fun and excitement for all ages. Part of The Roadshow’s mission is to make it easier for families to create lasting memories together. A $10 general admission ticket price at the door helps make that possible (a few markets may have alternate pricing and/or reserved seating options). Starting today, advance VIP ticket packages are also available – the ROADSHOW UPGRADE ticket and the ROADSHOW EXPERIENCE ticket. These special ticket packages include early entry for premium seat selection, private pre-show artist appearances, exclusive VIP merchandise items and more. For details and ticket links, visit www.theroadshowtour.com. THE ROADSHOW is presented by Compassion International, a Christian child development organization that works to release children from poverty in Jesus’ name. Founded in 1952, Compassion revolutionized the fight against global poverty by working exclusively with the Church to lift children out of spiritual, economic, social and physical poverty. Compassion partners with more than 6,800 churches in 25 countries to deliver its holistic child development program to over 1.8 million babies, children and young adults. It is the only child sponsorship program to be validated through independent, empirical research. For more information, visit www.compassion.com. For ticket information, please visit www.TheRoadShowTour.com. NASHVILLE, TENN. (OCTOBER 24, 2017) – After a three-year hiatus, Humble Beasts’ Beautiful Eulogy has returned with the release of their third studio album, Worthy, available now at iTunes, Amazon and Spotify. The new project is the follow-up to their 2013 release Instruments of Mercy, and it features guest appearances by Citizens, Aaron Strumple, Kings Kaleidoscope, Latifa Alattas (of Paige XCVI), and Art Azurdia. The debut single, “Messiah,” is currently impacting radio now. See below for the lyric video for the new single. Celebrating Worthy, the band held a Facebook Live Event hanging out with the fans and gave a special behind the scenes listens of the new songs with stories describing the tracks. In case you missed the event, you can watch it here. Worthy offers a fresh contemplation of words for which Christians have lost their wonder. But this isn’t your typical vocabulary lesson. It’s an exploration plumbing the depths of meaning found in such rich words that, when gripped, can radically change the way we view and live our lives. In a way that only Beautiful Eulogy can, Worthy features the group’s unique style, blending impeccable sound design with intricately percussive hip-hop. Their innovative approach takes listeners through a vivid cinematic experience, perfectly complementing their poetic and Biblically rich lyrics, leaving listeners in awe of a beautiful Christ in the light of God’s wisdom, honor, and glory. In support of the release, Beautiful Eulogy will be going on a nationwide “Worthy” tour starting this weekend in Spokane, Washington. Andrew White will join the tour as the opening act. Click here for the tour dates throughout the fall. ABOUT BEAUTIFUL EULOGY: Beautiful Eulogy is a Portland, Oregon-based group made up of artists Braille, Odd Thomas and Courtland Urbano. The group introduces a distinct and directive sound that’s driven by a desire to worship and glorify the God of the Bible, based in the context of its members’ hip-hop roots and shaped by influences like electronic music, folk songs and old hymns. Its members enjoy their creative freedom within self-imposed boundaries, by predefining their work’s message, sound, and purpose. 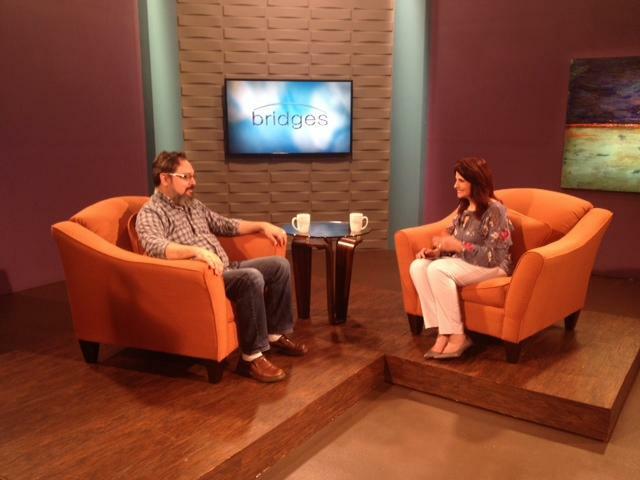 Dove Award-nominated singer, songwriter and worship leader Todd Agnew was in Nashville recently, taping an episode of the Christian Television Network’s (CTN) popular lifestyle magazine show, Bridges, with host Monica Schmelter. During the show, Agnew performed the songs, “Glory to Our Great Redeemer” and “Grace Like Rain” from his new album, From Grace to Glory: The Music of Todd Agnew. The episode featuring Agnew is scheduled to air on Thursday, October 26, at 9:30 a.m. and again that evening at 8:30 p.m. CST. Bridges is broadcast on CTN affiliate WHTN-TV in the Middle Tennessee region, where the show can be viewed via Charter on Channel 10, Comcast on Channels 21 and 1021, and local antenna on Channel 39. It can also be viewed on Dish on Channel 39, and online via ctntv.org/livestream at the days and times listed above. A steady buzz has been surrounding Agnew’s new project since the release of the first single, “Glory to Our Great Redeemer.” Called a “spine tingling new hymn” by UK publication CrossRhythms, the single has gained traction at Christian Soft A/C and INSP radio formats, recently showing up as one of the Most Added songs on Billboard’s Christian Soft A/C chart, and landing in the Top Ten on both the Christian Music Weekly’s (CMW) Worship and INSP charts. Another song from the new project, “When Love Comes to Town” (Agnew’s U2 Cover from the benefit album, In the Name of Love: Artists United for Africa) recently landed in the Top Ten on the CMW Country Chart. Agnew’s studies at Dallas Theological Seminary (where he is nearing completion of his Masters degree) led him to pen “Glory to Our Great Redeemer.” The song reflects Agnew’s deepening spiritual, theological, and musical maturity through the process of getting married, embracing fatherhood, moving to Texas and delving deeper into the formal study of God’s Word at seminary. For more information about Agnew, “Glory to Our Great Redeemer” and From Grace to Glory: The Music of Todd Agnew, visit toddagnew.com. NASHVILLE, Tenn. – Oct. 23, 2017 – Award-winning singer-songwriter Jason Gray will headline the Christmas Is Coming Tour this holiday season, featuring special guests Chris August and Hannah Kerr. Presented by Prison Fellowship International, the Christmas Is Coming Tour hits the road Dec. 1, in Columbia, Mo., and will travel to at least eight cities before wrapping up Dec. 16, in Slayton, Minnesota. This marks the sixth consecutive year for Gray’s Christmas outing, which has become a seasonal favorite with audiences across the country since the release of his best-selling Christmas project Christmas Stories: Repeat The Sounding Joy. This year’s tour takes its name from the album’s first cut, “Christmas Is Coming,” and will be an evening of Christmas stories, carols and songs. Tickets for the Christmas Is Coming Tour are on sale now, and a special VIP ticket package is available in most markets, including early entry and a pre-show Q&A with the artists. For up-to-date information and to purchase tickets, visit www.jasongraymusic.com..
For ticket information and the most up-to-date list of concerts, please visit www.jasongraymusic.com. Jason Gray is an award-winning Christian music artist, who is considered one of the most prolific writers in the industry. His latest album, Where The Light Gets In, was released in June 2016 and achieved Top-5 status on Billboard’s Top Christian Albums Chart. His 2014 album Love Will Have The Final Word gave Gray his first No. 1 AC radio hit, “With Every Act Of Love,” which also made the Top 10 on Billboard’s Christian Airplay Chart. Gray’s previous two projects, A Way To See In The Dark and Everything Sad Is Coming Untrue, delivered the talented singer/songwriter five Top Five singles in a row, with “Nothing Is Wasted” becoming his first No. 1 single at radio (Inspo). Gray has won two ASCAP Performance Awards, for “More Like Falling In Love” (2011) and “Good To Be Alive” (2012). He remains active on the touring circuit, having shared the stage with such major artists as Michael W. Smith, Steven Curtis Chapman, Third Day and TobyMac. Gray headlined his With Every Act Of Love Tour in 2014, along with his popular Christmas Stories Tour from 2012-2016. For more information, please visit www.jasongraymusic.com. Since his debut in 2010, Chris August has been awarded three Dove Awards (Male Vocalist of the Year, Pop/Contemporary Album of the Year, New Artist of the Year) has had three No. 1 radio singles, and has toured with TobyMac, MercyMe, Matt Maher, Building 429, KLOVE Christmas and many others. His fourth and most recent full album project, The Maker, released in 2015 and generated a No. 1 for the title cut, “The Maker.” Chris is currently finalizing a release for early 2018 on Fervent/Word Records. For more information, visit www.chrisaugustmusic.com. As the first artist signed to Black River Christian, Hannah Kerr’s Christmas EP, Emmanuel, just released on Oct. 20, featuring six tracks with two originals both co-written by Kerr. Kerr’s newest single “Warrior” from her debut full-length album titled Overflow, produced by Sawyer Brown’s lead singer and Casting Crowns’ producer Mark Miller, is climbing the charts. Overflow has been streamed over 3 million times and also includes the Top 25 hit “Radiate.” The success of Overflow and her constant touring has allowed “Warrior” to become a recognizable fan favorite and it has been streamed over 2 million times. The new single, “Warrior,” as well as a pop-infused “Warrior (Battle Cry Remix),” are available now at all digital retailers and streaming services. Kerr has toured with such major artists as Casting Crowns, Matt Maher, Building 429, Jonny Diaz, and Matt Hammitt, as well as sharing the stage with for KING & COUNTRY, Newsboys, and Kari Jobe. For more information, please visit www.HannahKerrMusic.com. Prison Fellowship International is the largest, most extensive association of national Christian ministries working in the criminal justice field. Founded in 1979 by former Nixon aide Charles Colson, Prison Fellowship International is dedicated to communicating the redemptive love and transforming power of Jesus Christ by mobilizing 45,000 volunteers to help alleviate the suffering of prisoners and their families, and advance restorative justice in 120 countries. Since 1983, PFI has been in consultative status with the Economic and Social Council of the United Nations. Prison Fellowship International helps rescue children of prisoners–the innocent victims of crime–by pairing them with dedicated caseworkers who monitor and ensure their safety, health, education, and spiritual and emotional well-being. PFI’s Child Sponsorship Program connects caring sponsors with each child, further building the one-to-one connection, to provide love and community to children who are too often forgotten. For more information about Prison Fellowship International, visit www.pfi.org. 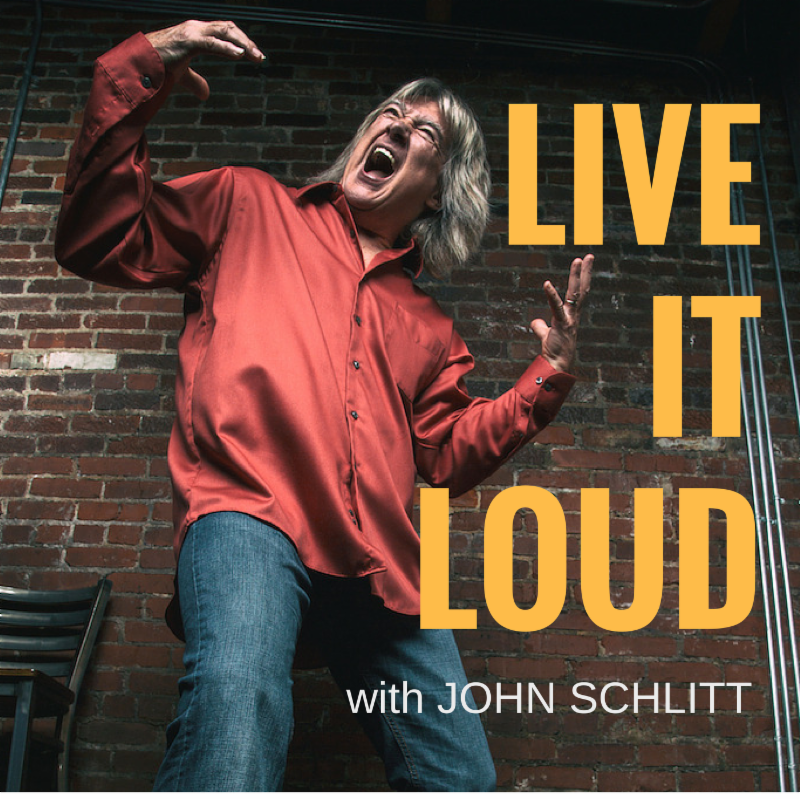 2017) – Legendary rock vocalist, Grammy and Dove Award-winning GMA Hall of Famer John Schlitt launches the second season of his innovative syndicated radio show, Live It Loud, this week with an exclusive interview with Michael Sweet, lead singer and guitarist of legendary, platinum-selling metal band, Stryper. Sweet will share the struggles of breaking into Christian music and the personal heartbreaks he has experienced during the first two Live It Loud shows of the new season, which will be dedicated to the music and history of Stryper. The Live It Loud program is syndicated by the NRT (New Release Today) Radio Syndication Network and is aired on numerous radio stations and online outlets from coast to coast. The show features Schlitt’s unique perspective on songs from the early days of Christian rock, along with exclusive interviews with the songwriters and performers who championed the music that changed a generation for Christ. Each hour-long episode of Live It Loud includes a mix of classic Christian rock songs, along with interviews with the artists and writers who created them. 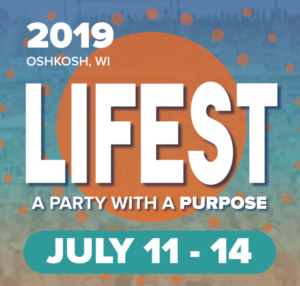 Schlitt also offers a brief devotion and shares a story about a person or organization that is “living it loud” for the Kingdom. The show’s first season included interviews with such Christian rock pioneers as Rick Cua, Phil Keaggy, Geoff Moore, Eddie DeGarmo (DeGarmo and Key), Rick Florian and Billy Smiley (Whiteheart), Bob Farrell (Farrell and Farrell), Bob Hartman and John Lawry (Petra), John Elefante (Mastedon and mainstream group Kansas), David Huff (David and the Giants) and video producer Stephen Yake. Live It Loud is a project of John Schlitt Ministries. For more encouragement to live your faith out loud, Schlitt invites fans to visit the Live It Loud devotions page on his website, located at johnschlittministries.org. For more information, visit johnschlittministries.org or email questions to ministry@johnschlittministries.org. Stations can sign up to air Live It Loud for free at nrtsyndication.com. NASHVILLE, TENN. (OCTOBER 19, 2017) Gotee Records’ Ryan Stevenson was honored with his first GMA Dove Award earlier this week at the 48th Annual GMA Dove Awards. Stevenson received the “Pop/Contemporary Song of the Year” award for his record-breaking single “Eye of the Storm,” which he also performed with GabeReal of TobyMac’s DiverseCity band during the main broadcast taping of the awards’ show. The GMA Dove Awards were held live Tuesday night to a sell-out crowd in Nashville, Tennessee at Lipscomb University’s Allen Arena. The show will air on TBN Sunday, October 22 at 8pm CT.
Stevenson’s follow-up to the award-winning song and current radio single, “The Gospel” has been a Top 5 Billboard Christian Airplay and Christian AC single for the last five weeks. The song has more than four million streams on Pandora, over two million streams on Spotify, and the lyric video has crossed over 1.5 million views on YouTube. Currently fans can catch Stevenson on tour with MercyMe, followed by a tour in November with Peter Furler and a Christmas tour in December with Unspoken. It has been recently announced that he will be on the 2018 TobyMac’s Hits Deep Tour. Click here to see all of Ryan Stevenson’s upcoming tour dates. Following a seven-year stint as a paramedic, Pacific Northwest native Ryan Stevenson signed an exclusive agreement with Gotee Records in 2013 after capturing TobyMac’s attention by co-writing the No. 1 and Grammy® nominated single “Speak Life,” His first recording for the label was the Holding Nothing Back EP in 2013, which garnered the Top 25 single “Holding Nothing Back. This was followed by 2015’s full-length album Fresh Start which featured the No. 1 radio single “Eye of the Storm”. With three No. 1 singles (two as an artist and one as a co-writer), a GRAMMY® nomination, ASCAP honors and major tour bills with the likes of TobyMac, Newsboys and Matt Maher, among others, Ryan has already distinguished himself as a rare talent whose unique perspective guides his honest lyrics and sonic sensibilities. NASHVILLE, Tenn. (October 18, 2017) – Bernie Herms won Producer of the Year and Songwriter of the Year – Non Artist at the 48th Annual GMA Dove Awards on Monday night. Herms now has a career total of 10 GMA Dove Awards, including back to back wins in the Producer of the Year category. These wins capped off a record year for the multi-genre hitmaker, who also received the BMI Christian Music Songwriter of the Year Award and won a GRAMMY® for Best Contemporary Christian Music Performance/Song earlier this year. Bernie Herms is an award-winning composer, songwriter, and producer, who has worked with artists such as Josh Groban, Andrea Bocelli, Selena Gomez, Kelly Clarkson, Hillary Scott (of Lady Antebellum), Barbra Streisand, Natalie Grant, Casting Crowns, Danny Gokey, David Foster, Brad Paisley, Steven Curtis Chapman, Amy Grant, and many more. His stratospheric production and songwriting career includes highlights such as 30 #1s in the U.S. and many multinational #1 hits. He won a 2017 GRAMMY® for Hillary Scott’s “Thy Will.” He has won 10 GMA Dove Awards, including Producer of the Year (2009, 2016, 2017) and Song of the Year. He was named the 2017 BMI Christian Songwriter of the year. Some of his recent projects include Hillary Scott’s GRAMMY® winning #1 single, “Thy Will” (14 consecutive weeks at #1), Barbra Streisand’s GRAMMY® nominated and #1 debuting album, “Partners,” Natalie Grant’s #1 debuting album, “Be One,” and Danny Gokey’s #1 debuting album, “Rise.” After the success of producing Josh Groban’s GRAMMY® nominated album, “Stages,” Bernie is back in the studio working on Groban’s next two project. NASHVILLE, Tenn. (October 17, 2017) – Tonight, the Gospel Music Association (GMA) handed out honors in 39 categories at the 48th Annual GMA Dove Awards plus special industry recognitions at Lipscomb University’s Allen Arena in Nashville. Kari Jobe and Tasha Cobb Leonard hosted the sold-out show and Trinity Broadcasting Network (TBN) will exclusively air the awards show on October 22 at 8 p.m. CST. Visit www.doveawards.com for more information. MercyMe was named Artist of the Year and Zach Williams took home New Artist of the Year. Gospel music legend Pat Boone received the SoundExchange Fair Play Award. From first-time nominees to legends, the all-star lineup came together for one of Gospel and Christian music’s most memorable nights. Trinity Broadcasting Network is the world’s largest and most watched faith-and-family broadcaster, reaching over 175 nations across the earth with inspirational and entertaining programming 24 hours a day in 14 languages and on 30 global networks. As the world’s most influential non-profit religious broadcaster, TBN has led the way in expanding the impact of faith-based television across the earth through the creation of innovative content designed to reach every viewer demographic with the life-changing message of hope and grace. To find out more about the Trinity Broadcasting Family of Networks, visit us at tbn.org.